My electionline.org colleague Mindy Moretti has an info-packed story in this week’s electionlineWeekly on the push to get voters registered before deadlines start to hit in early October. Her story covers a variety of items, but the ones that jumped out at me were the online voter registration (OVR) numbers for states who have recently begun the practice. In Maryland, the [OVR] system launched in July and has seen more than 8,000 new registrants and more than 14,000 people have updated their registration. Since its launch in August, 9,716 New Yorkers have used the [online] voter registration system to update their registration or complete an application. According to [the State Board’s Doug] Kellner, 3,168 are new registrants. In other words, more than 60% of Marylanders and about two-thirds of New Yorkers using OVR have done so not to register for the first time but to update their records to reflect changes of address or other important information. That’s more than 20,000 voters in those two states combined who likely won’t need to cast a provisional ballot or endure other address-related delays on Election Day. Often (maybe too often) the focus in election administration is on new voters; but these OVR figures suggest that there is significant benefit (not mention bang for the buck) in addressing the needs of existing voters as well. It will be interesting to see if we can identify measurable impacts from OVR in states that use it. Regardless, I can’t help but think there will be tens (maybe hundreds?) of thousands of voters who are grateful to be able to check and update their voter records online in advance of Election Day. Bringing new voters into the process is a worthy goal, but serving the needs of existing voters (and introducing some efficiencies into election operations at the same time) is the real stuff of election administration. 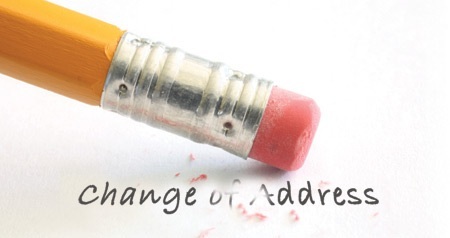 2 Comments on "Relocation, Relocation, Relocation: Online Voter Registration’s Impact on Existing Voters"
For what it’s worth since Ohio launched it’s online change of address system in August we have received over 25,000 changes of address. Just updated the post accordingly – thanks, Matt!